Producer Chris Withers sporting a new trend in footwear today. 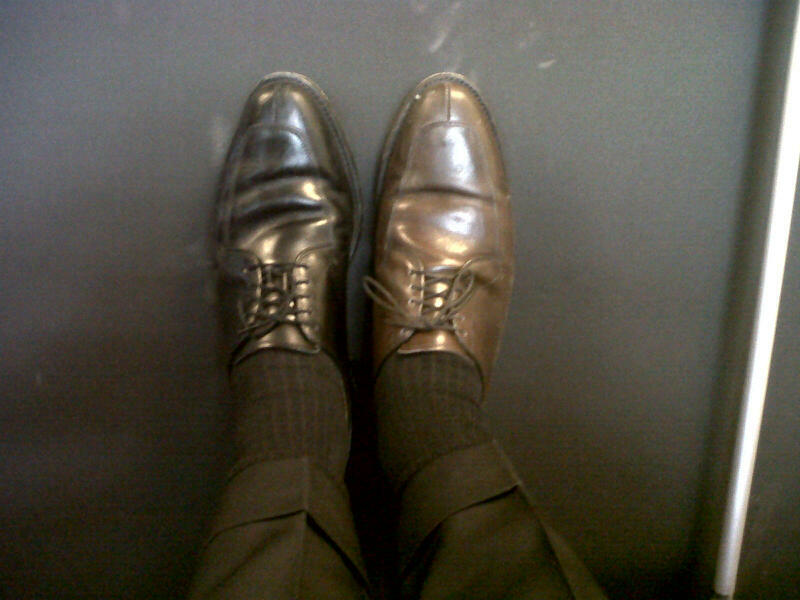 That’s what happens when you dress in the dark. 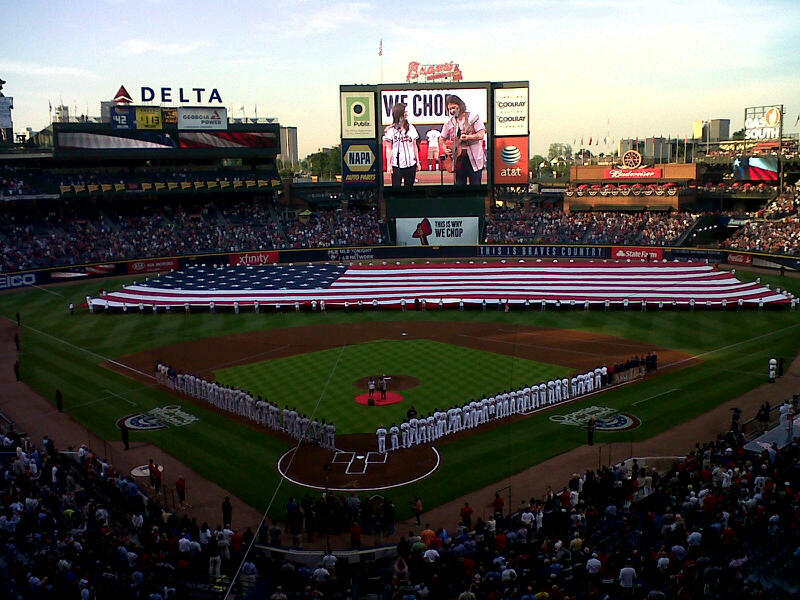 Opening Day at Turner Field. Prior to my days as the Brewers TV Announcer, I called live golf tournaments for Golf Channel. One of the most exciting and entertaining players I covered was Bubba Watson. During my time, Bubba was stuck on the Nationwide Tour mostly because of his over-aggressiveness and a fidgety putter. He was a train-wreck and a masterpiece all in one, every week. Yet, there he was Sunday, on golf’s most treacherous greens, Augusta National, putting his way to a Green Jacket. 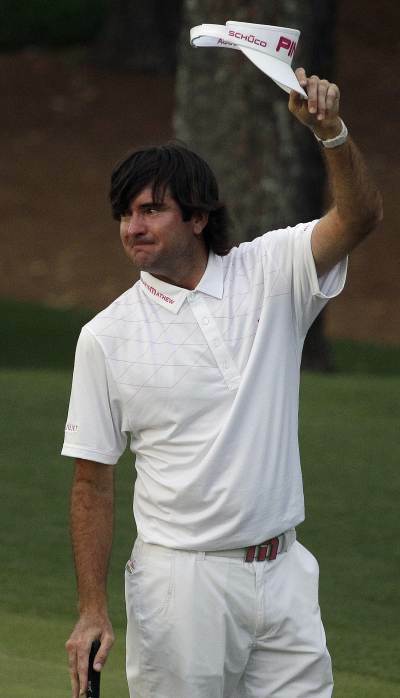 Bubba Watson is a Masters champion! I’m so happy for him. I can share a story that Bubba shared with me during our days together on the Nationwide Tour. Growing up as a kid in Baghdad, Florida, Bubba would hit whiffle golf balls around the corners of his house. Around and ’round he’d go. Both ways. Hooks and slices. A great athlete with a self-made swing. All of those “trick” shots helped make him the most impressive shot-shaper in golf, along with being the longest driver on Tour. That story popped in my mind when Bubba hooked his tee-shot into the trees on the second playoff hole, hole #10. ‘Ol Bubba, the king of bling, livin’ large at Augusta, stuck in the pine straw…Perfect! Now, the safe play is a punch out, then trust your putter. The “Bubba-play” is a giant hook around the trees, over the patrons, over the bunkers, onto the green. Just as he’d done thousands of times as a kid, with whiffle balls around his house in Baghdad. He pulled off the shot of a lifetime. Two-putts later, his golfing-life changed. Way to go Bubba. Way to be a kid again on one of the biggest stages in sports! Last day at Maryvale. I’m taking in the Gallardo/Lincecum matchup as a fan today. Sunny, 70 degrees and the sights and sounds (and smells) of the crowd. I have the greatest seat in the house from the TV booth, but it’s nice to watch a game from a different perspective sometimes. It’s a beautiful game from any angle. 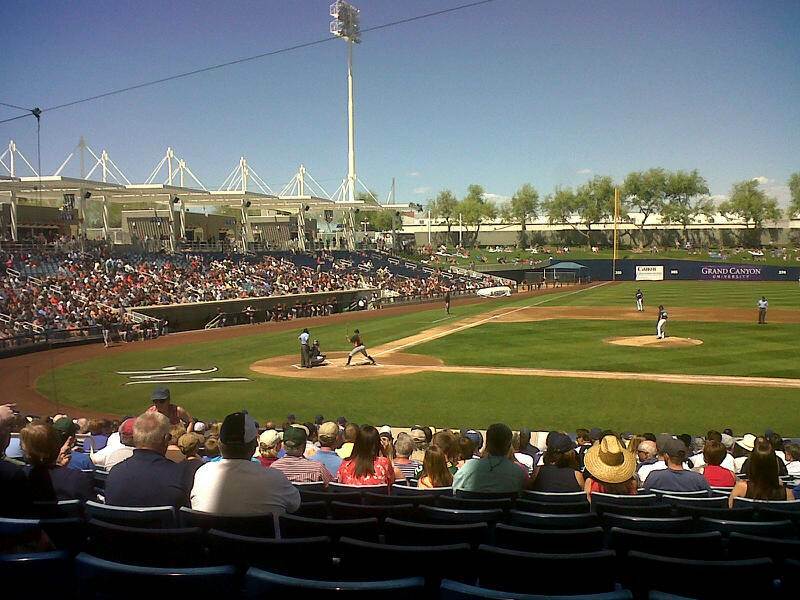 There is not much left to accomplish in the Cactus League other than the final bench spot. After watching Corey Hart play well, 2 hits, in a minor league game Sunday morning, my guess is that Hart will open the season in Milwaukee, which leaves two players (Brooks Conrad, Travis Ishikawa) for one job. You feel for the anxiety those two must be experiencing. Still three more days in Phoenix. 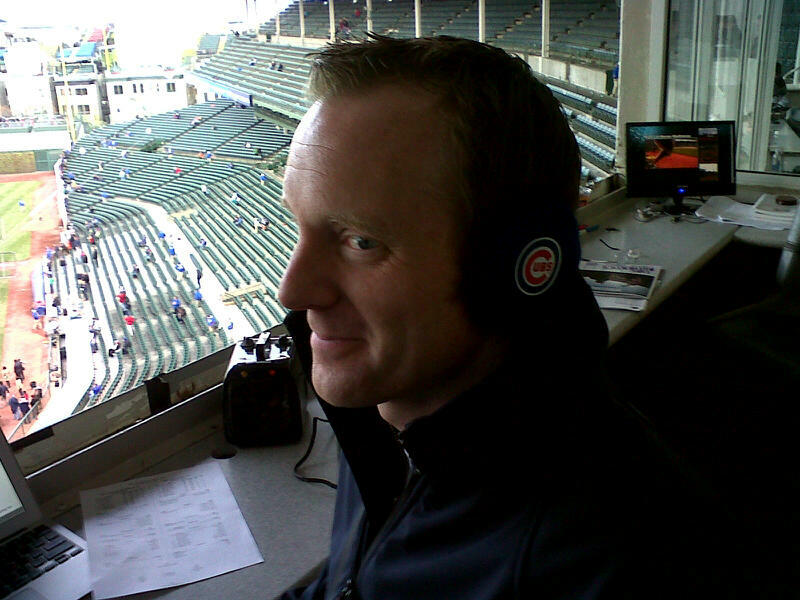 Join Rock and me on the webcast Monday from Glendale, and on FS Wisconsin Wednesday afternoon from Chase Field for the final game of the exhibition season. Opening Day is Friday at Miller Park. Until then, stay healthy!